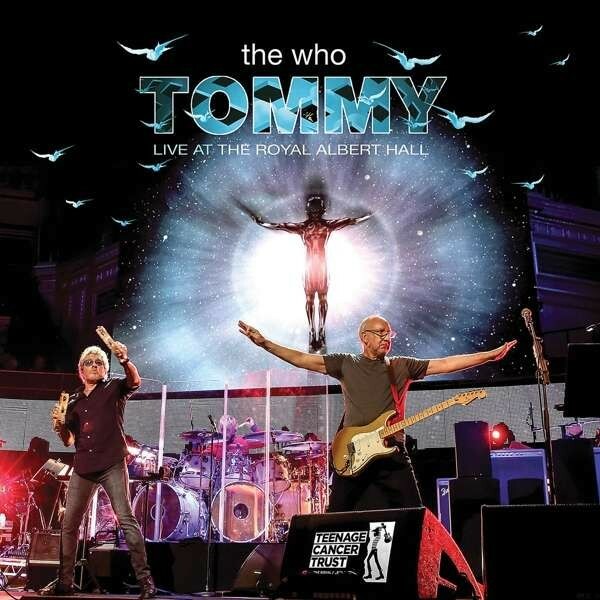 The Who have performed the Rock Opera 'Tommy' on many occasions throughout their long career. However, this was the first time it had been played live in its entirety – previously, between two to four songs had always been dropped – with this special sell-out show also being in aid of the Teenage Cancer Trust which is certainly a worthy cause. For a band that built its reputation on their unpredictable brutal live energy, it is testament to the music that vocalist Roger Daltrey and guitarist Pete Townshend, in the twilight of their years, can still delight audiences. The days of smashed instruments are long behind them, although Daltrey still swings a mean microphone lead when needed. 'Quadrophenia' was always the more musically accessible of the two Rock Operas that Townshend wrote. With back screen visuals added here, the emphasis is on the story which comes across clearer. However, some of the songs still fail to quite hit the mark for me. For the most part, Townshend displays his more sensitive guitar playing, while also handling vocals when needed. 'The Acid Queen' has the two bandmates singing together, bringing a whole new feel to a song made famous by the original Tina Turner vocal. Zac Starkey, son of The Beatles' Ringo Starr, handles drum duties with plenty of intensity, although he has impossible shoes to fill when considering he is replacing the late, great Keith Moon. The band are set up close together on stage with Daltrey doing most of the moving around. He still possesses a remarkable voice for his age as can be heard by the scream at the end of 'Won't Get Fooled Again' which is played during the greatest hits section that closes out of the show. Aside from 'Pinball Wizard', this concept album is a slightly tame affair with the audience seeming to just nod as each song flows into the next. When the band start throwing out 'I Can't Explain', 'Who Are You' and 'Baba O'Riley' at the conclusion of the show, it finally demonstrates the true strength of The Who, but as a whole show in its entirety, this is a wonderful trip through this band's amazing body of music.